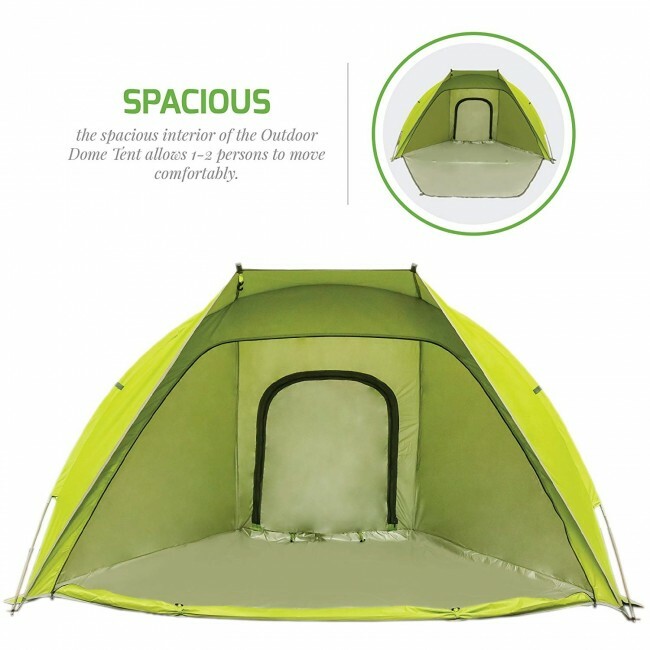 SPACIOUS – The spacious interior of the Outdoor Dome Tent allows 1-2 persons to move comfortably. You and your companion can get a good night sleep while you’re camping on the beach. 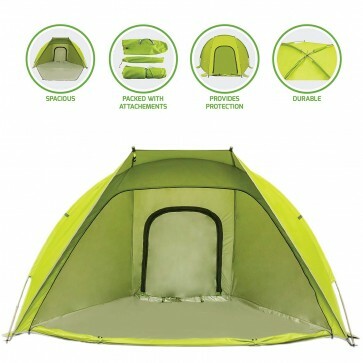 This outdoor tent will help you get the rest that you need for another full day of outdoor adventure! PROVIDES PROTECTION – This Outdoor Dome Tent gives you full protection from the sun, wind, and rain when taking a break from all outdoor activities. Plus, it is made from breathable polyester, so you can enjoy the sensation of nature’s peaceful breeze. DURABLE – It is strong and durable due to its 170T polyester material with silver coating, and it comes with fiber glass poles that can withstand any weather. 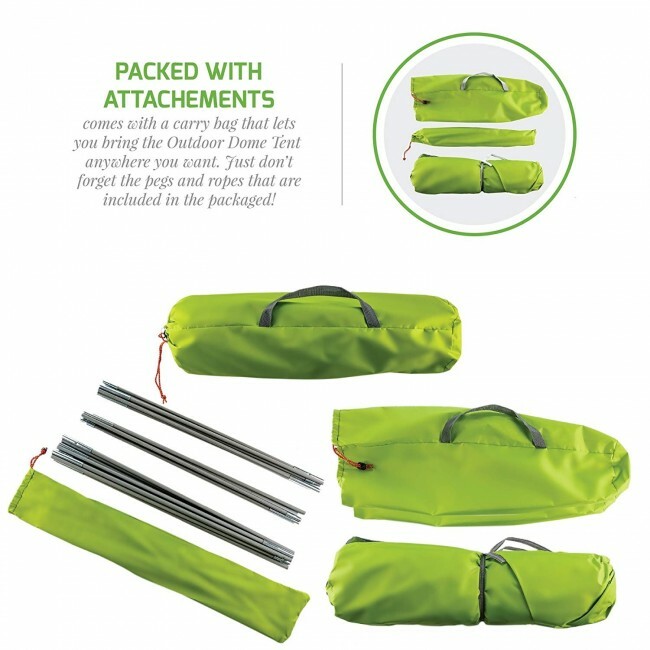 PACKED WITH ATTACHMENTS – Comes with a carry bag that lets you bring the Outdoor Dome Tent anywhere you want. Take it with you on the beach then watch the waves while you rest inside the tent, or bring it on your hike so you can build it on top of the mountain and be captivated by the aesthetic view. Just don’t forget the pegs and ropes that are included in the package! 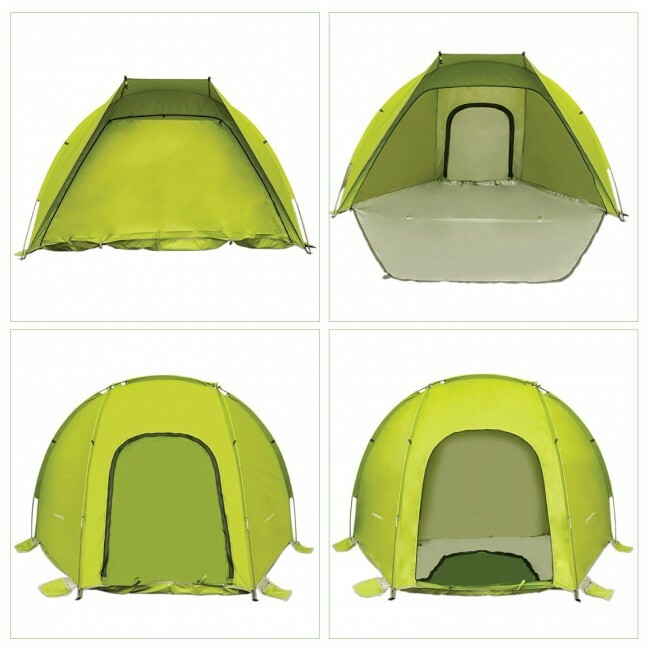 BUY WITH CONFIDENCE – All Ovente products, including the 2-Person Outdoor Dome Tent, are covered under 1 YEAR WARRANTY. So rest assured, Ovente has your back! 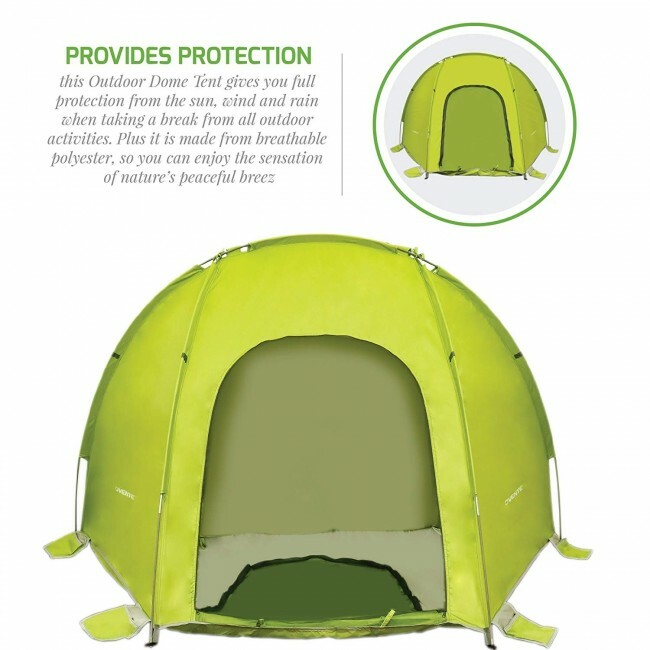 The Ovente Outdoor Dome Tent can save you from getting dry, sunburned skin. It’s no surprise, the one thing that’s keeping us from enjoying the outdoors is the blazing sun. Staying too long under the sun can have negative effects on you; the sun and warm breeze can give you dry, sunburned skin as well as frizzy hair. Not just that, it also makes you feel so sweaty that you just want to go home! Of course, you wouldn’t like that to happen when you’re having outdoor fun with your family members or friends. Do not fret about it! The Ovente Outdoor Dome Tent can help you with sun, wind, and even rain problems. This Outdoor Dome Tent for 2 provides full protection from UV rays that can damage living tissue if the skin is exposed to too much sun. It is strong and durable due to polyester material, and fiber glass poles that can withstand any weather. 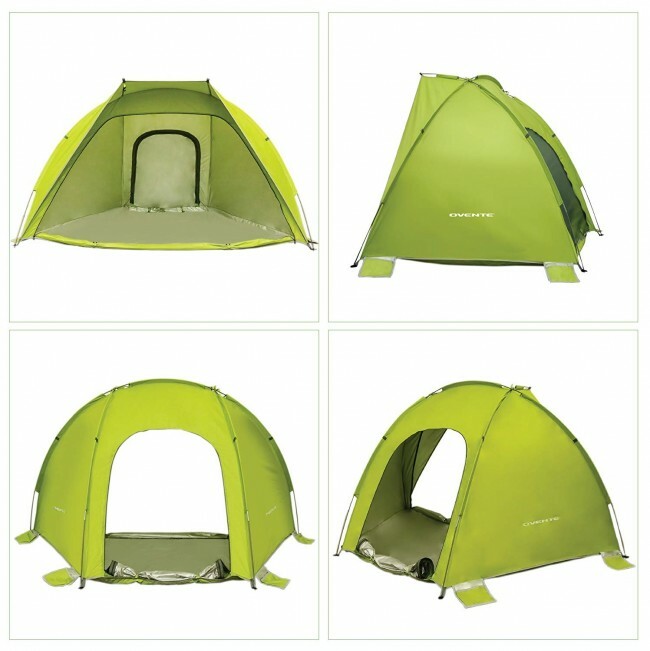 A spacious and comfortable tent is an ideal place to relax under the sun. They say it’s fun under that sun. Well, that’s only true if you have a tent with you! To actually have fun under the sun and make your stay on the beach more enjoyable, set up your Outdoor Dome Tent; you can lie down in this spacious and cozy tent and watch the sunset while listening to the waves. What a perfect way to enjoy the summer! 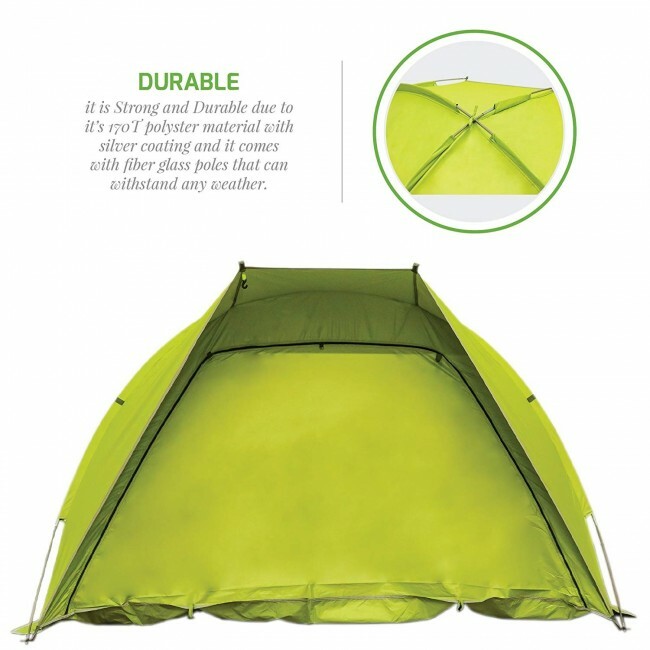 The Ovente 2-Person Outdoor Dome Tent includes a carry bag, pegs, and ropes.